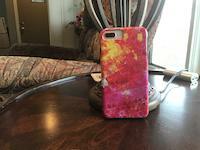 Robert Ohara Burke iphone x case by Granger. Protect your iPhone X with an impact-resistant, slim-profile, hard-shell case. The image is printed directly onto the case and wrapped around the edges for a beautiful presentation. Simply snap the case onto your iPhone X for instant protection and direct access to all of the phone's features! There are no comments for Robert Ohara Burke. Click here to post the first comment. ROBERT O'HARA BURKE (1820-1861). 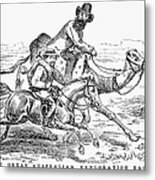 Irish explorer in Australia. 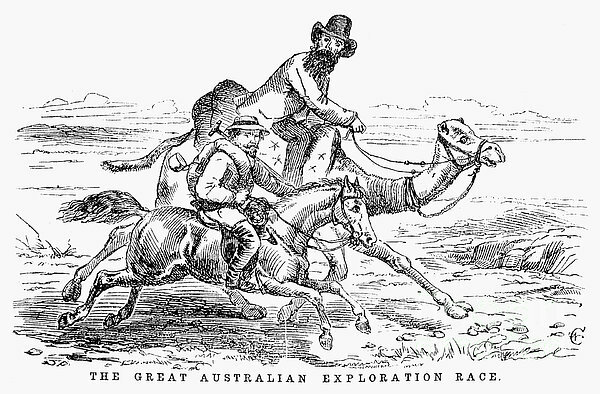 'The Great Australian Exploration Race.' 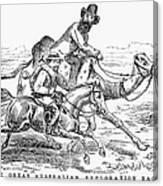 Burke, on a camel, competes with the Australian explorer John McDuall Stuart. 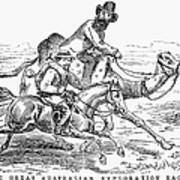 Cartoon from an Australian neswspaper of November 1860.